In advance of Veteran’s Day, motorists on Rt. 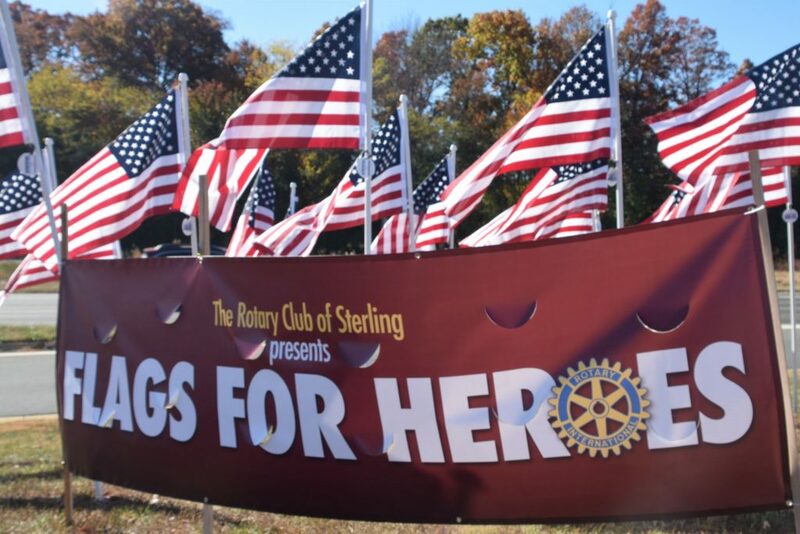 7 in Sterling will see a new flag display all this week—thanks to the Rotary Club of Sterling. 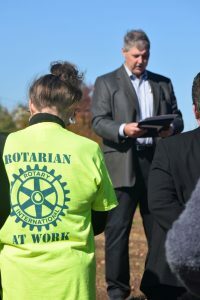 Rotary Club of Sterling President John Slye reads the names of those honored in the club’s flag display during a ceremony Saturday. The club posted 100 American flags in front of The Bungalow Lakehouse this morning. The patriotic display doubles as a fundraiser to support the club’s scholarships and other charity activities. Club members and supporters donated $50 each to post a flag in memory of a loved one or personal hero. Rotarian Marc Engelking, the owner of Fireworks Subs in One Loudoun and Sugarland Crossing, was one of the project organizers. 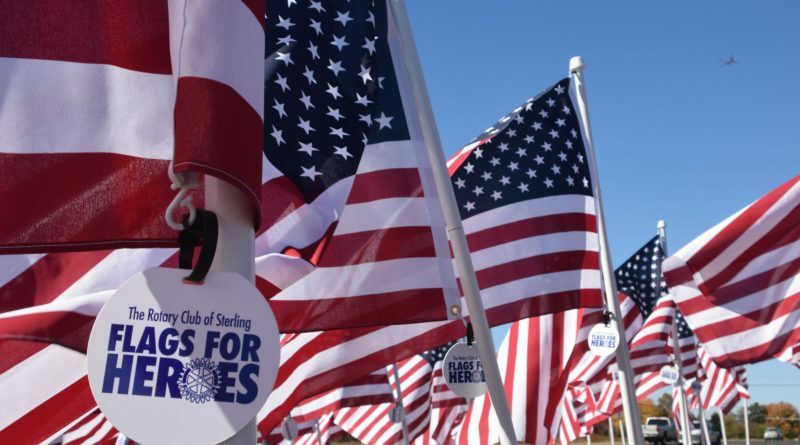 He said the effort came together in just the past few weeks, but there are plans to expand the Flags for Heroes tribute next year, to 300 or maybe 500 flags as the more businesses and area residents get involved. The club meets Mondays for lunch at the Bungalow Lakehouse. Learn more at sterlingrotary.org.